It may have lower stakes and fewer life-threatening emergencies than its big sister 911, but for the 20,870,131 New Yorkers who called 311 in 2014, it’s no less vital. In New York City’s 311 call centers, over 350 employees work tirelessly around the clock (you can reach a representative 24-7-365) to answer residents’ burning questions about everything from alternate side parking to a lack of heat in their homes to unwanted animal guests. We spoke with past and present 311 employees to get the 411 on one of the city’s greatest resources. 1. 311 call center representatives (CCRs) spend months training to take your calls. During training, the CCRs also learn proper telephone etiquette, protocol, and what to do if the call takes a turn for the strange or serious. 2. There’s an “escalation line” for when things get out of hand. 3. There are 58 different things you can say that will get you transferred to 911. If a 311 CCR suspects an actual emergency, he or she is required to patch the caller through to 911. The service provides its representatives with a list of 58 items that, if mentioned by the caller, precipitate a mandatory transfer to 911. While some of the mandatory transfer items seem commonsensical (a report of abuse or harassment, an injury, or a suspected gas leak), some are a bit more head-scratching. Mentioning a “squeegee in progress,” “ticket scalping,” or “foul odor from unknown source” will get you patched through to 911. Once a 311 CCR connects with 911, he or she remains on the line for the entirety of the call, acting as a witness as well as being available to answer any questions the 911 operator may have. 4. More calls come from Brooklyn than any other borough. Perhaps unsurprisingly, New York City’s most populated borough is responsible for the most calls to 311, claiming 31 percent of calls in 2014. Falling in line behind are Queens (23.3 percent), Manhattan (21.9 percent), the Bronx (18.4 percent), and Staten Island (5.4 percent). 5. CCRs take thousands of calls each day. While 311 averages 50,000 calls a day, the number varies greatly depending on the weather, holidays, and service announcements, Thompson says. The 2014 record for most calls in a single day is 239,203. The most calls handled by a single representative in 2014 is a staggering 22,809. 6. Questions about alternate side parking dominate the phone lines. Call center representatives agree that New Yorkers are more baffled by the complexities of alternate side parking than any other topic. Tahiem Tomlin, a call center rep for almost two years, says that other FAQs vary by season, with the winter being dominated by heating complaints and tax questions. Callers also often have questions about how to deal with parking tickets and what certain street signs mean. Unfortunately, the former 311 representative points out, CCRs aren’t allowed to give guidance on these topics; they’re not covered in the Siebel computer system. 7. 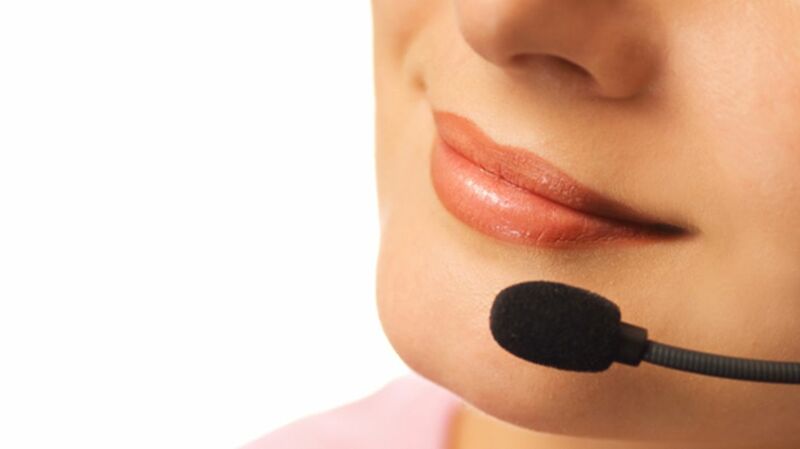 Call center reps are scored on their call-taking abilities. 8. CCRs must remain professional at all times. 9. The urban legends are true: A call to 311 proved there really are crocodiles in New York City. 11. ... And truly want to help. While calling 311 can at times be frustrating—the caller must sit through a standard introduction (which, we now know, earns the CCR points), the CCR is prohibited from providing answers to many questions, and the caller may ultimately be transferred to an unresponsive department—residents of New York can take solace in the fact that most CCRs sincerely want to help. During Hurricane Sandy in 2012, for example, CCRs worked long shifts in order to make sure New Yorkers had someone to call. With public transportation suspended for days, many representatives were driven to work in Department of Corrections busses—the kinds usually used to transport prisoners—after walking miles to the nearest bus stop. 12. Call center reps are not allowed to hang up the phone.